You are here: Home / SEO / Article Writing / Fresh Air of SEO Changes – Your Approach Guide! Internet marketing has come a long way. There was a time when any single line could act as vehicle of a link to be used (to the extent of abuse). Now, even reputed, websites feel threatened by the chances of Google inflicting damage to them algorithmically, for reasons of low quality write up or link (or back links). The ‘content’ fight got initiated the day this search engine giant came up with Google Panda and Penguin updates. It made not-entertaining-‘low quality’-content quite plain. Since then, SEO companies and experts are coming up with the newer strategies to deal with the situation and to strike a balance between the quality and cost involved and all the while, satisfying the clients. In spite of being emphatically highlighted again and again, websites have become prey to the trap of content that does not pique interest because of zero value. This could be negated by inclining towards the best online authors with thoughts worthy of consideration, of experts or casual readers, in general. Therefore, it would be apt to say that demand of quality authors is sure to go up, and even more for expert opinions. Content as a loner might lose the fight. Do not spare anything preventing this from happening. One way is to give a voice, face and a personality to it (for ease of association), through authors or the reputed companies (as everyone knows, Google loves ‘big’ names). Moreover, the content should continue to appear, repeatedly and in relative context, rendering the content written before ‘old’. Given the cutting edge competition among the vendors in the same industry, the waging war is difficult to miss. And, the basis of fight is nothing except branding the content with words as well as actions, as absolutely as possible! As far as content is considered, the more the author is able to involve the reader, the better is the quality of articles or blog. This particular thought has found its faith in longer write-ups with more info to keep the reader bound. 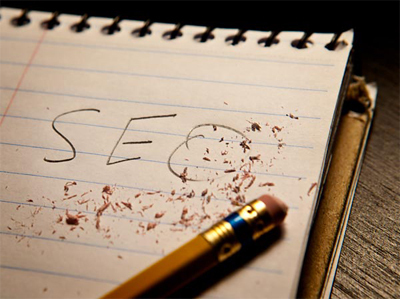 People in the career of SEO serviceshave not been foolish to be myopic on this perspective. Reputed blogging sites that also help with link building only seem to agree. In a way, this action asserts brand authority over a period of time building trust. Just a word of caution, the trick is not the word count, rather the ideas, theories, concepts, suggestions and every other thing that has ‘value’ associated with it. The reiteration of the emphasis of using social media and developing a sound strategy based on the targeted platforms is understandable. As the number of users continues to grow over different social sites, paying attention on them is inevitable. The caution here is of slightly unique in nature. Businesses might not be able to do this on their own. SEO companies thus, can develop content suitable to every site (and in process evolving themselves), as the target audience they cater might vary in nature and preference. And then of course, it is photos and videos acting as a catalyst. Would you as a reader deny it and the answer is ‘No’. Banking on these cues, you can strap yourself on for a great year (SEO or otherwise)!